With Jon Favreau’s The Jungle Book arriving in theaters this weekend and many more Disney remakes on the horizon (Pete’s Dragon, Beauty and the Beast, The Little Mermaid and Dumbo to name just a few), we turn our attention to five remakes of Disney classics that have already been produced (the good, the middling and the ugly). When it comes to live action adaptations of Disney classics, 101 Dalmatians is the most logical place to start. The story unravels in a realistic setting and doesn’t have anything supernatural to speak of that would be difficult to portray. And with a screenplay from the great John Hughes, what could go wrong? Only slightly more than I expected. Out of all of Disney’s live action remakes, this one works best for me, particularly in its tone. With its music and heavy use of slapstick, 101 Dalmatians has the feel of a light comedy, and the humor works extremely well. It also feels closely connected to the original, but at no point does it come off as a generic shot-for-shot remake. This version shines in is its terrific casting as well. Jeff Daniels and Joely Richardson are perfectly cast in their roles of Anita and Roger respectively, creating a center to the film that keeps the excessive slapstick and strange events grounded. Anita and Roger’s relationship reestablishes the realistic setting when the physical humor gets to be too much and reminds us that this story is about their journey to save the puppies and grow as people. Hugh Laurie and Mark Williams also have fantastic comedic timing and chemistry as Cruella’s bumbling henchmen, and this is especially critical as most of the slapstick in the climax is pushed in their direction. 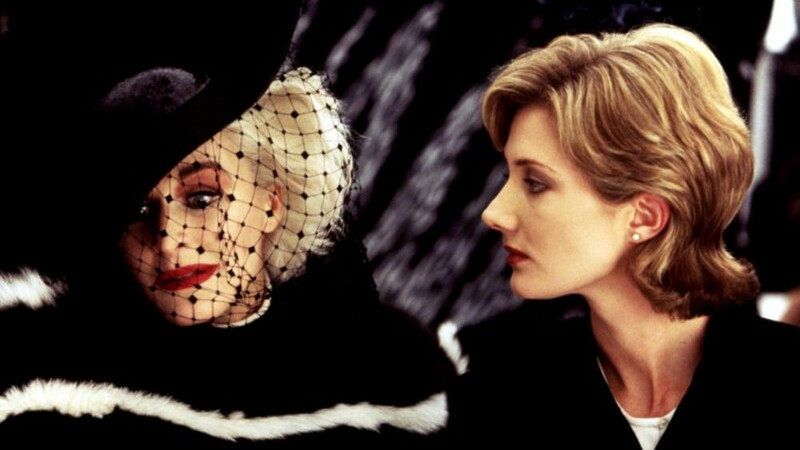 But the standout by far is Glenn Close as the iconic Cruella de Vil. All throughout, she impressively balances her character’s humanity and insanity. While Anita and Roger keep the film grounded, you can’t stop looking at the screen in awe when Cruella is planning her dastardly schemes. The film never completely fails as a product, but it lacks ambition in a lot of ways. It sticks close to a combination of the novel of the same name and the ’60s animated film. That’s fine and good, but what I’ve found with a lot of these remakes is that you need to find a balance between being faithful to your source and adding something to make it your own. 101 Dalmatians dips its toes into reinvention with a few nuanced touches here and there, but it never fully commits to the idea of a complete remodeling. I have always had mixed feelings about Tim Burton. While I love films like Edward Scissorhands and Sweeney Todd, other projects such as Dark Shadows actively cause me pain. 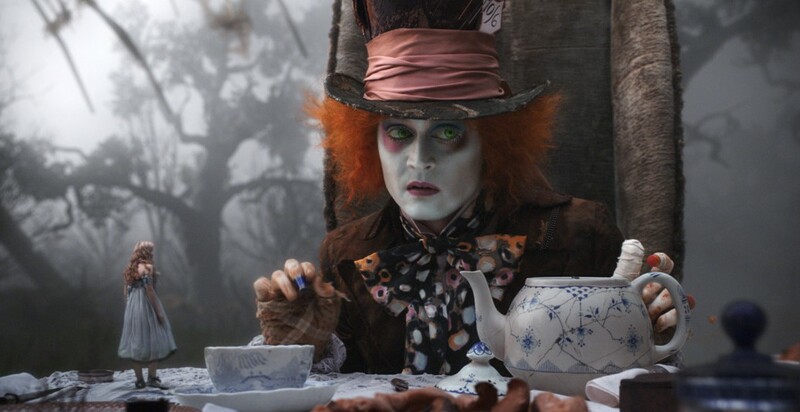 His adaptation of the Lewis Carroll classic Alice in Wonderland received mixed reviews on release, but I’ve always hated it. Let me rephrase that, actually. What I really hate is not the film itself, but all the potential it had to be great. When this project was announced, the hype was enormous. This match between director and source material couldn’t be perfect. You can see the ambitious nature of the film, but only in its visuals. The characters, on the other hand, are all either too dull to carry a whole movie on their shoulders or are run-of-the-mill wacky side characters that I’ve come to expect from Burton. The movie is flawed to the core — from the narrative structure to the story details to the action sequences. This project embodies almost every issue that inevitably comes up in a bad Tim Burton movie. While the side characters and antagonists are more interesting and better developed, Mia Wasikowska seems bored and uninterested in the flat role of Alice. The CGI is way too excessive as well, and Burton turns an interesting tale of a young girl’s journey of self discovery into another “chosen one” narrative. The movie keeps the odd tone and general strangeness you expect in any Wonderland adaptation, but the visuals are far too drab to engage the audience. This could have been an amazing adaptation of a classic novel, but it instead just comes off as dull, generic and far too CGI-heavy. 1940’s Fantasia is one of Disney’s greatest filmmaking achievements. With some of the best animation to come out of any era, it has created too many iconic moments to list here. But the segment that’s stuck with me since childhood is the “The Sorcerer’s Apprentice,” featuring Mickey Mouse as a young pupil doing his best to use his magic skills to clean up. 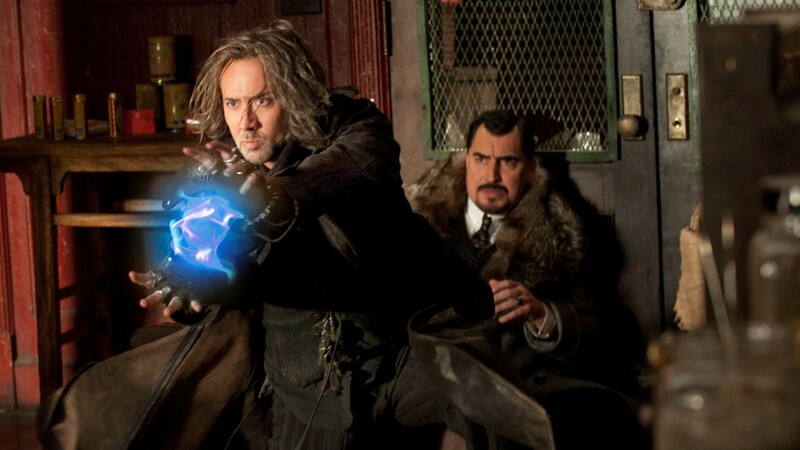 What producer Jerry Bruckheimer and director Jon Turteltaub did with The Sorcerer’s Apprentice is strange, even without considering the presence of Nicolas Cage. I’m pretty sure that a total of five people have actually sat through this whole movie, so the following is the plot in a nutshell. Dave (Jay Baruchel) is an awkward college student with a great talent for Physics, but he’s not your average nerd. At the age of 10, he meets Balthazar (Nicolas Cage), who tells Dave that he’s destined to stop an evil wizard named Horvath (Alfred Molina) from doing evil and taking over the world. While the plot is as basic as it gets, the details and the character motivations get convoluted. There is more made up, vaguely cool-sounding magical nonsense per minute than there ever needed to be. This is what kills the movie in its exposition scenes, which take up about 95% of the rushed first act. The pacing in general is way too fast, never letting up to allow any of the characters to develop. Everyone is one-dimensional, and although Dave does have a solid story arc to follow, all you really know about him is that he’s a nerd who wants to have a better life. It gets to a point where you don’t care about him or his forced romance with childhood friend, Becky (Teresa Palmer), so you only pay attention to the absurdity that is Nicolas Cage. Cage has always been entertaining in his films, no matter the quality of the script, and he, along with Alfred Molina, singlehandedly save this movie from being completely dull. Cage is basically playing himself, but now he is an all powerful sorcerer. He somehow finds a lot of good humor in a bland script and his character is so ridiculous you just can’t take your eyes off him. Molina may be unexciting on paper, but like Cage, his delivery of lines is just strange enough to enthrall you. The character of Maleficent from 1959’s Sleeping Beauty is usually regarded as one of Disney’s greatest villains. Menacing, calculating and ruthless, she goes after what she wants, and it makes sense to tell the story of how Maleficent came to be so evil. Unfortunately, the 2014 rendering is way too clichéd and boring for such a great character. Written by Linda Woolverton (Beauty and the Beast, The Lion King), the film follows the titular character from a young age until we catch up to the events of the original film. Maleficent (Angelina Jolie) is a young fairy growing up in the Moors, a kingdom of fairies and other magical creatures. One day, she meets a young man named Stefan (Sharlto Copley), who desires to rise above his station in life. Stefan and the fairy fall in love, but when Stefan grows up, he uses these feelings against Maleficent to cut off her wings, allowing him to become the next great ruler. Maleficent then swears revenge on him and his happiness. There are many ways to create a great cinematic villain. One critical part of this process is deciding how to define their motivations. You can either give the villain an elaborate back story and make it perfectly clear why they do what they do or you can barely explain it, instead merely alluding to the reasoning behind their actions. While the original film gives little explanation for Maleficent’s vengefulness, this new movie explains too much. Making a Disney villain sympathetic is fine in theory, but writing King Stefan as one-dimensionally evil to achieve that sympathy just doesn’t work. While I do appreciate the allegorical nature of Maleficent getting her wings cut off by a young Stefan, what they do to her character just doesn’t sit well with me. Maleficent goes from a mystery to a woman scorned with a mom complex. The story also strays from some of its source material, but not in a good way. The fairies in Sleeping Beauty weren’t the sharpest tools in the shed, but they were still competent enough to properly raise Aurora as a relatively strong young woman (at least as strong as a female character was allowed to be in the ’50s). In the new movie, the fairies are so idiotic that they don’t know what and how to feed an infant, leaving Maleficent to raise Aurora. As was the case with Stefan, this is another cheap simplification made to bolster Maleficent’s relatability. Aurora again gets the short end of the stick as a character, and this was the one chance to make her much more than your average princess. It’s been almost 60 years since Sleeping Beauty was made, and nothing has changed about Aurora. I understand that the perspective has changed for this film, but I see these remakes as a chance to update these Disney classics to modern times. Maleficent just wastes an opportunity to make a famously bland princess into a stronger, more dynamic female character. Depending on who you ask, the original Cinderella might be one of Disney’s best features or just another movie you watched on cable when you were a kid on a sick day. For me, I equate it to a bowl of Fruit Loops early in the morning. It’s very nice to look at and enjoyable while you’re eating it, but you don’t gain much from it afterwards and go make yourself a plate of scrambled eggs to fill you up so you can get through the day. While director Kenneth Branagh and screenwriter Chris Weitz don’t make as many changes to the dated gender politics and morals of the original tale as I expected they would, Weitz does a lot to rectify the issues I had with this story and update it for a modern time. Before we get to the meat of this analysis, I just want to be up front about something. I will never be able to fully love Cinderella. Maybe it’s my rampant cynicism or the fact that I’m pretty sure I’ve aligned with feminist ideals since I was about 12, but Cinderella brings me no narrative satisfaction. The exception for me is Ever After, which reimagines the tale by giving the character the agency she really needs. I don’t hate the 1950 version of Cinderella — it does many things well — but I will never fully love what I see as a story of a woman sitting around under a crappy set of circumstances for years, failing to speak up until a fairy godmother bails her out. Though I had biases going into it, this new version of Cinderella does a lot correctly. Cinderella still sits around and never speaks up, but she almost sees the world through rose colored glasses. She always has a look of hope in her eyes, no matter how tough the reality of her current living situation gets. 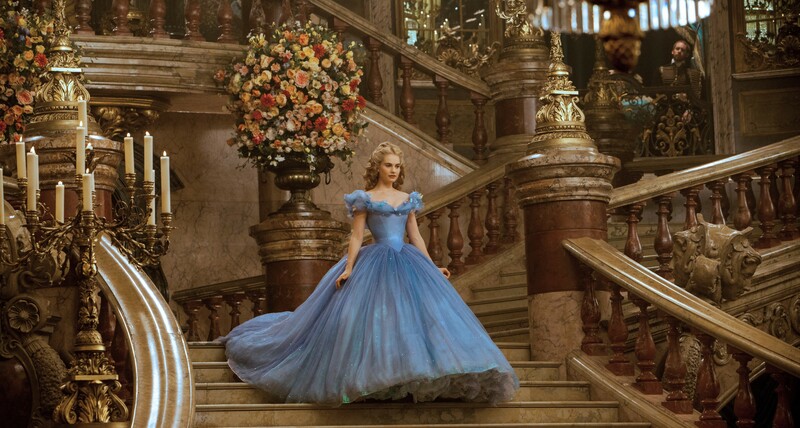 You really can’t help but smile, and Lily James does a great job in the role. The prince is also imbued with some nuance, as he’s given not only the personality he completely lacked in the original, but also actual character detail. The Prince (played by Richard Madden of Game of Thrones), is a young man with ambition to be a great king. He has a deep admiration for his father and firmly believes in marrying for love rather than status. This is one of the best updates in the movie, but the overall film never leaves an impact. Kenneth Branagh has shown a good eye for captivating visuals in the past, but here there isn’t much worth talking about. I can’t deny that the movie is very pretty and well shot, but it seems that Branagh isn’t putting his all into it. For me, that’s the overall issue. It’s a fine film and everything, but after it’s over the only thing that really sticks with you is the perfection that is the costume design.